The Nikkei are people of Japanese descent who have migrated and settled throughout the world. The Japanese American National Museum commissioned Rory Mathews to develop an online resource for the Nikkei the community to share, explore, and connect with each other through diverse Nikkei experiences, culture, and history. 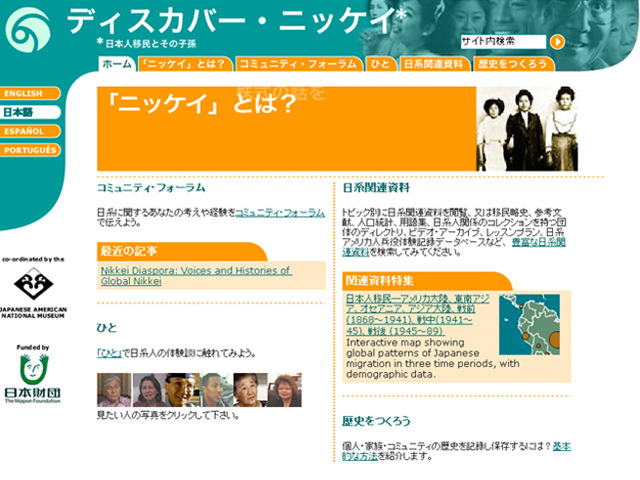 TGSi implemented Rory's design in four languages including Japanese. We built searchable historic databases and helped the museum customise Drupal to create their online community and Nikkei Album.